With years of experience here at Round Rock Towing, we know that sometimes you need a bit of extra fire power when it comes to recovering or towing the largest vehicles on our roads. That’s why we have a heavy duty service, to deal with lorries, trucks, cattle trailers and more. Whatever has gone wrong, we can help you to clear the road, recover your vehicle and get to a mechanic if you need it to be repaired or assessed. Get in touch today and we will help you as soon as possible. Included in our fleet are heavy duty towing vehicles which means there’s really nothing so big that our team can’t handle it. We use heavy duty towing for large vehicles, such as trucks and trailers, buses and motor homes. However, it can also be necessary if a smaller vehicle has become stuck in difficult conditions or has finished up off road in a difficult spot after an accident. 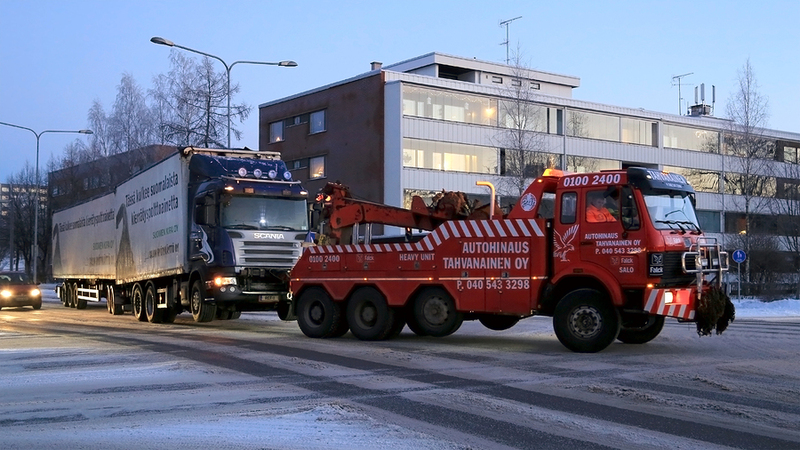 If you’ve had an accident and need to have your vehicle moved or recovered urgently, we have a 24 hour emergency towing service which will get to you quickly, and assist in every way we can. Among our state of the art equipment at Round Rock Towing Service is the rotator which is used for the very heaviest of lifting. This allows us to access even the trickiest of places, with 360 degree rotation and a lifting power right up to 75 tons. With this we can recover and remove even very large stranded or damaged vehicles in less time than ever. This means less chance of a secondary collision, and less disruption for other road users. Whatever the road throws at us, we have the crew and the equipment to handle it. What size of vehicle can heavy duty towing equipment handle? Round Rock Towing Service has a fleet of excellent quality heavy towing vehicles. Not only that, our team of smart and skilled operators have seen pretty much all there is to see on our roads - and can help to get you and your vehicle out of even the trickiest of situations. Give Round Rock Towing Service a call for a reliable, and affordable heavy duty towing service. Customer service - offering a professional, fast and courteous response to all situations - is our priority. We have a great team on call 24 hours a day, and we are always ready to respond in emergency situation. Thanks to this, and our record of fast response times, previous customers have told us that Round Rock Towing Service are among the best in the business. If you need heavy duty towing or our rotator service, here in Round Rock, TX, get in touch today.